In a bid to provide its customers the best features and easy usability, UCWeb has updated its Windows Phone browser, UC Browser, with a host of cool features including sharing over Wi-Fi. 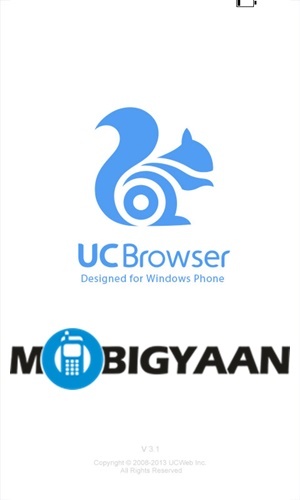 UCWeb has released the version 3.3 of the UC Browser for Windows Phone. other than the general fixes, the update also adds new features like the Pin to Speed Dial feature, which can be used to pin your favorite websites on the UC Browser home screen. You can also add browser features like Downloads on the home screen by clicking the “+” icon on the speed dial. With the new update of the UC Browser for Windows Phone the user can share files between the phone, tablet and PC and other devices using Wi-Fi. The feature is can be accessed in Download Management. The browser now also internally supports geo-location sharing on Facebook and other social networks. The update also makes navigation easier with the Site Nav being properly categorized. You can download the browser from the Windows Phone Store.